[prMac.com] Birmingham, United Kingdom - FredBear Games and PlayPlayFun LLP announced today that their super stylish comic book of a game "Comic Boy" has launched worldwide on the iOS platform from the developers StayHeavy Games. 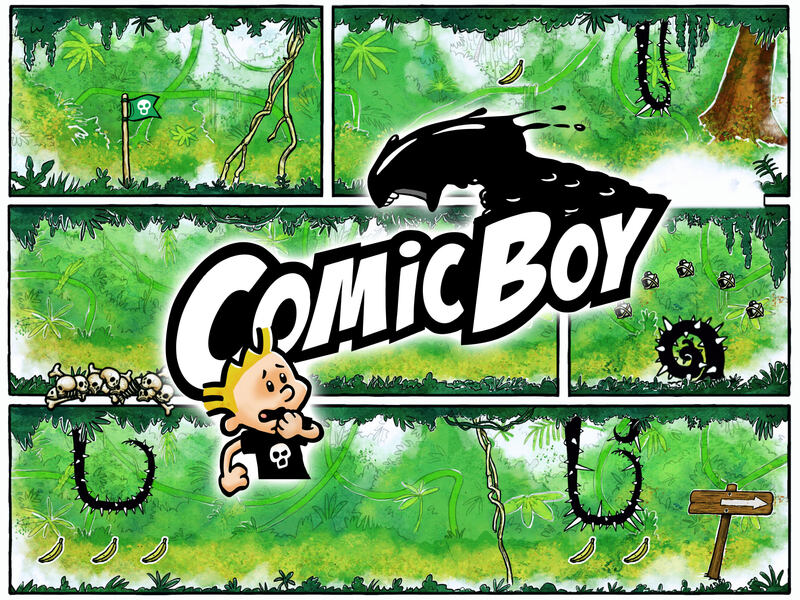 Comic Boy is loosely inspired by the great retro game, Comix Zone by Sega and Comic boy has been hand drawn by the artist from the hit game Limbo Stine Sorensen! Previously released in error in 2014 (Known as Escape The Page back then) as it was due to be just a beta test and played by the developers friends and family but it gained traction worldwide and was also featured by Apple but as it wasn't intended to be this way! Not long after the launch in error it was pulled by the developers so they could continue to work on it and bring it to the level where the originally envisaged it to be. * One finger tap and swipe control - Make your character jump, perform a special actions such as power stomps, saltos, backflips and even flying kicks. 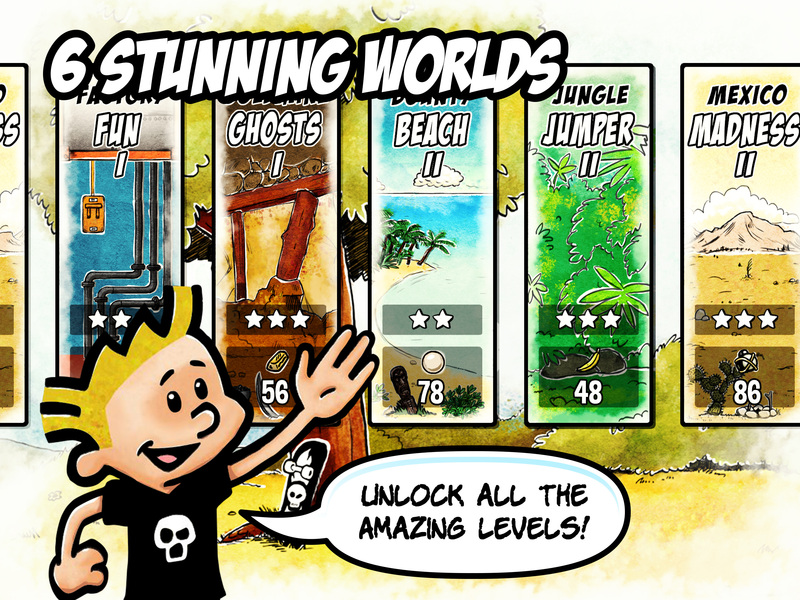 * Play through the pages of the comic book - Starting out in a jungle, your dash adventure to find your way out continues onto the BEACH, DESERT, GOLD MINE and more. * Unlock the characters - Comic Boy is not the only person trapped in the comic book. Help Parkour Girl, Foxy and Ninjoe dash and escape the page as well. * Rockin' music by a real rock musician - Awesome rockin' music goes along with your adventure. Located in Birmingham, United Kingdom, FredBear Games Ltd is a mobile games publisher, marketer and developer of games for both the iOS and Android mobile platforms. Founded by CEO, Clive Bennett in 2013. All Material and Software (C) Copyright 2918 FredBear Games Ltd. All Rights Reserved. Apple, the Apple logo, iPhone, iPod and iPad are registered trademarks of Apple Inc. in the U.S. and/or other countries. Other trademarks and registered trademarks may be the property of their respective owners.